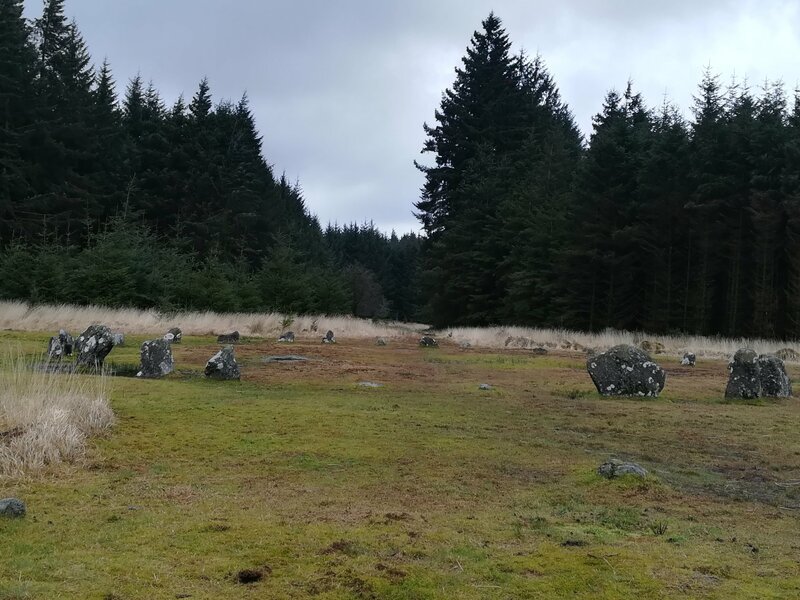 This week I visited not one, but two most interesting Bronze Age stone circles, whilst walking in Dartmoor National Park in Devon (England). The other site which we walked to was the Grey Withers Dual Stone Circle. This portion of the walk was more challenging as we walked against the wind over marshy and uneven terrain. I was very happy that hubs found a large tree branch which made an excellent walking staff for myself. We made it there after a couple of hours & it was indeed a special sight! We made a short prayer of gratitude to the spiritual energies of the circles. 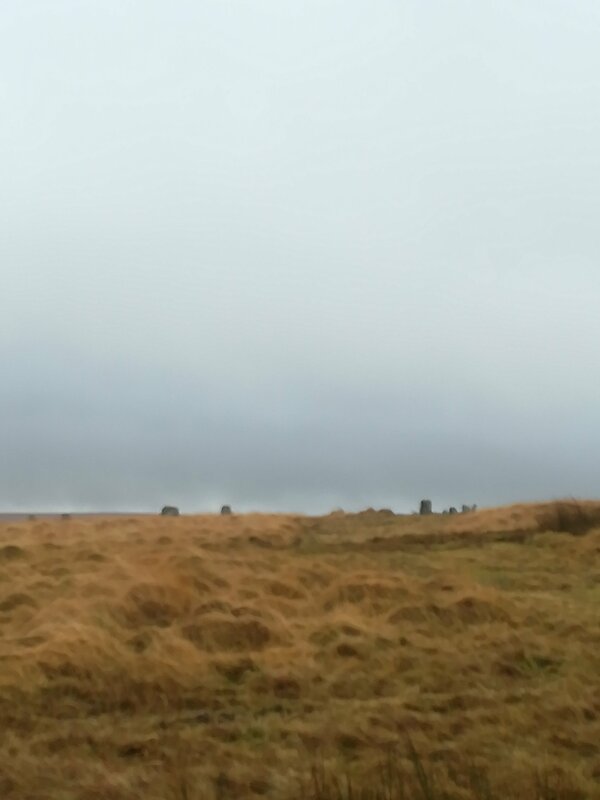 To see two large stone circles, next to each other, but separate, was truly amazing. Here is the technical bit. 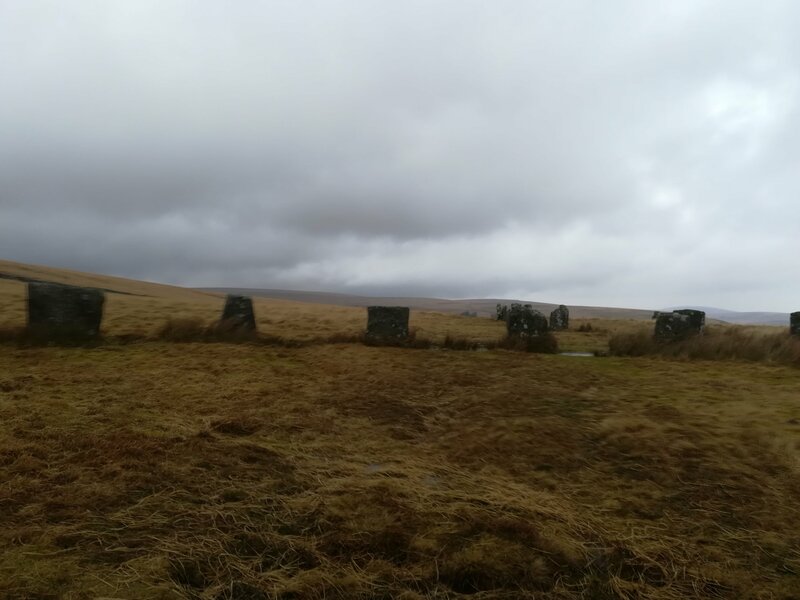 “This magnificent double stone circle is located at the foot of Sittaford Tor on a bridge of land between a pair of valleys formed by tributaries of the North Teign River to the north and the East Dart River to the south. Standing 4.5 metres apart, the northern circle consists of 20 upright granite slabs forming a circle of about 32 metres in diameter while the southern circle has 29 stones and is slightly larger at 33 metres. A survey of the site in 1879 gave their diameters as 31.6 metres (north) and 35.5 metres (south), this difference being could accounted for by the fact that the circles were restored in 1909. Between these two dates the circles were excavated by the Dartmoor Exploration Committee who reported a thick layer of charcoal covering the interior area in a similar fashion to Fernworthy Circle which stands just over a mile to the north. This information was sourced from stone circles dot org dot uk. Here’s a short video which I made. It’s a bit noisy because of the wind! Coming back the heavens opened and we got soaking wet. So if you go there, be prepared for possible swift changes in the weather up in the moors! 😄 Quite the adventure it was! This entry was posted in Fun, Seasonal, Inspirational, Photography/Days Out, Photos/Days Out, Spiritual, travel, Uncategorized, Videos and tagged a blog a week, achievement, adventure, bloglovin, Bronze Age England, Dartmoor National Park, Dartmoor walks, druid, Fernworthy, Fernworthy stone circle, Froggymead, happy thoughts, hiking, historical Britain, lblogger, lifestyle blogs, moor walks, mystical England, stefsvoice 4 u, stone circles, walks in Devon. Bookmark the permalink.